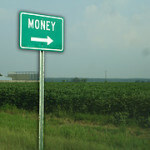 Most people in today’s world think there only limited to one source of income. With the internet being as popular as it is today and growing rapidly there’s tons of creative ways to make money from home online. I’m sure you could use a few extra hundred dollars each month by using some creative ways to make money online. If you really want and need the extra money then make it happen. Applying it to the online world your income sources are endless. Just use your imagination a little and think outside the box and you can make anything possible. Below are some creative ways I found to make money from home. While this list of ways will not make you rich but can help put some extra money in your pocket each month. Feel free to leave comments and tell others what works well for you. 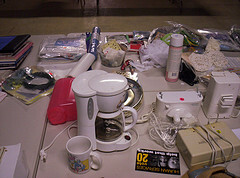 Sort through the things you have and find items you no longer need or use. Sort through the things you want and don’t want and sell them on sites like eBay, Craigslist, Amazon or similar sites to make fast money. The items you don’t want might mean nothing to you but to someone else they might pay good for the item if it means something to them. Selling your personal items you don’t have use for is great because you don’t have to do much besides post a for sale Ad. I have done this is the past and sold items I thought that worth nothing and have got more than I thought I would. Selling to the right person could go along way. 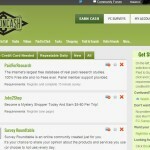 Most of these sites are not just only taking surveys and can get paid other ways as well. Somethings they offer, get paid to search the internet, play games, watch videos, take surveys, and much more. You need to check each one and see what they pay for. Some of the top bloggers are making six figures each year. We all have to start some where, why not try blogging. Get your name out there for something you do or like to share with people. Creating a creative blog you should come up with a good idea that you think will draw attention. Doing recordings or videos on something funny or useful for people is ideal place to start. Making a great blog and attracting people to come to your blog there’s tons of ways you can make money. Take a risk and or you will never know what the outcome could be. If you love to write and have a passion for writing about something then freelancing just might be for you. There are hundreds of great places where you can put your skills to use like Odesk.com, Elance.com and Articleteller.com Check these sites out this could be the niche for you. You could also make a blog on a niche you very interested in and also sell advertising space on your blog. Learn how to get a free blog here. 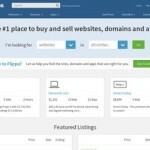 Fiverr.com is a website that lets you sell your own service for $5. It’s actually are really cool and interest website that’s filled with crazy and funny services that people will buy. If you think you are a creative person then this would defiantly be for you. Some example of services people sell are taking pictures holding a sign, signing to a funny song, make funny reviews of products and much more. Being creative is a most on this site if you want to make your services popular. You would be surprised what people will do just for $5! You can actually get paid to test products surprisingly. If you like having the newest and best products out then this could be for you. Companies are looking for people to test new products and review them. Promote there products you have tested and make money from home. Some great places to check for this would be shespeaks.com and crowdtap.com. Working from home can be very rewarding and most people really enjoy doing over their every day job. Learn more Ways to Make Money Online. It’s a great post. I’m from Colombia, I’m sorry for my english, but i like it a lot this web page. Thank you! It’s Ok I understand you fine. Glad you enjoyed it!